Dream Of TV Job Remains Elusive For Montana Grad Dustin "Buddy" Cowart is the only member of his family to earn a college degree. He's determined to find a job in the television industry. But with $50,000 in student debt, he has to keep working at a local home improvement store to make ends meet. Dustin "Buddy" Cowart graduated with a degree in radio and television production from the University of Montana, Missoula. He's trying to find good-paying work in Montana in his preferred profession. Students graduating from college this spring are entering perhaps the toughest, most uncertain job market in generations. In this series, we meet recent grads, who share the frustrations and fears they face as they set out in search of work. Dustin "Buddy" Cowart is the only member of his family to earn a college degree. It just took him a while to do it. "This is year eight," says the 29-year-old. "I should be a doctor or a master. I should be a master of something ... but I'm just a bachelor," he says. Cowart just graduated from the University of Montana School of Journalism with a degree in radio/television production. He chose his major, in part, because he though it would land him a solid job. But the media industry is in turmoil. The class of 2010 faces the worst job market in a generation, and many graduates, like Cowart, are left wondering how they'll pay back hefty student loans. 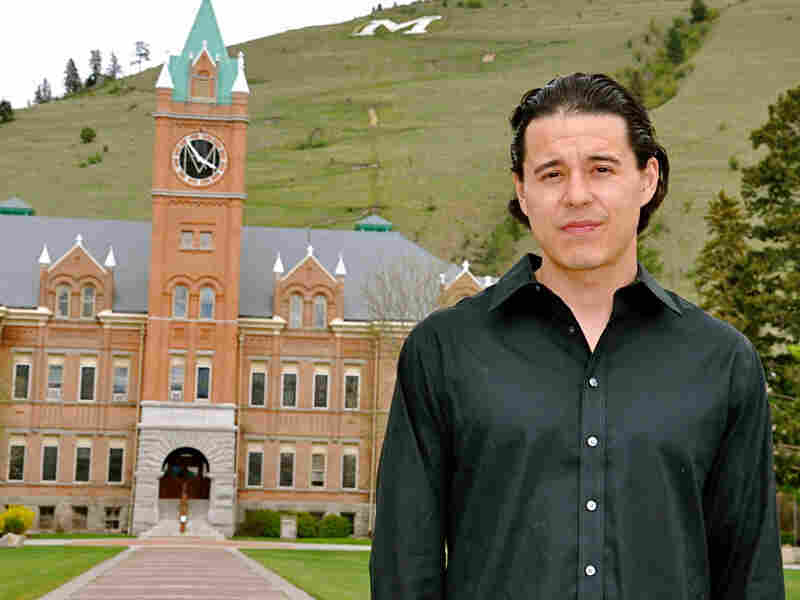 Cowart was born in a small town near the North Dakota border to an American Indian teenager, and was later adopted by an older couple in Missoula. He starting working right out of high school but realized he wanted something more. He wanted a career that would allow him to be creative, to work on documentary projects and engage in storytelling. When Cowart told his parents he was signing up for classes at the "U," they weren't sure how he'd pay for it. He's been stocking shelves at a local home improvement store to pay his way through college, but he also relied on $50,000 in student loans. Now that he's out of school, he has to start making payments on the debt. "When you're in school, you're getting these statements about what you owe, but you're like, 'I don't have to pay on that until you graduate,' " Cowart says. "But now that I'm graduated the reality is setting in." But Cowart hasn't even started applying for jobs, because he's been busy finishing up his senior project and working nearly full-time at the home improvement store. He has an idea of what he'd like to do, though. "It would be ideal for me to find a job just shooting video and editing it, traveling around and meeting people and just hearing stories," Cowart says. "Or else have my own business. That is something I'm seriously considering." But the reality -- at least for now -- is likely to be different. "Often, the entry-level jobs are sitting in an edit bay overnight, logging tape that someone else has shot," says Denise Dowling, one of Cowart's professors. Not only has the economy made it tougher to find a job, but the television industry has also undergone enormous changes, including massive downsizing. Dowling says that while most of the school's 2010 journalism graduates already have jobs, most know they'll need more than one job to make ends meet. "The reality is the wages aren't good because there are so many people willing to do the work," Dowling says. 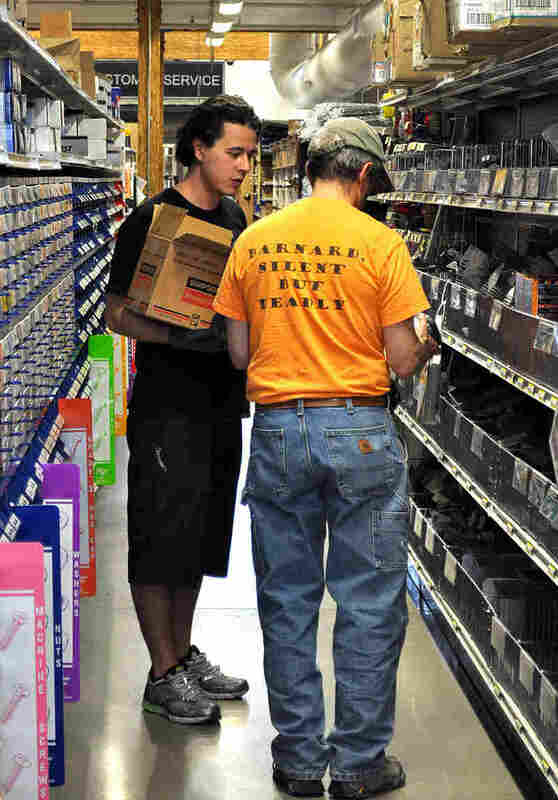 Cowart was expecting to start earning more money after graduation by working full-time at the home improvement store, but he says his boss can only employ him for 30 hours a week. Cowart also doesn't want to move away to find a job because he wants to stay close to home so he can care for his elderly father. Cowart remains determined to find a job in his chosen field. He doesn't want to disappoint his father or himself. And he doesn't want his education to go to waste.